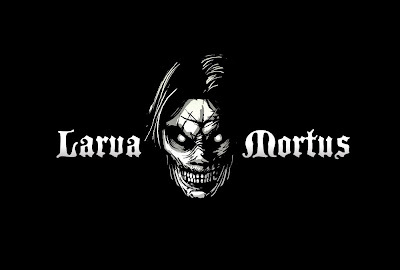 Larva Mortus, the latest game release from Montreal publisher Meridian 4, is an action horror game that has you hunting the supernatural in an ominous and dark atmosphere full of the undead, and demonic nightmares. In the top down shooter assume the role of “The Agent” as you travel through many action packed monster hunting missions. Larva Mortus offers fast and entertaining monster-hunting game play. A horrific atmosphere goes hand in hand with furious action packed splatter fest. 30 frightening supernatural monsters to destroy. Vampires, werewolves, the undead, and more! A dark and horrifying atmosphere with mysterious storyline quests! A super early version of our next game. No title has been determined at this time, or price point, or which console it will be on. The Behemoth, developers of Castle Crashers and Alien Hominid, just released the video trailer for Game #3, a yet to be titled platformer that is actually still waiting on a platform(?). This early game footage shows what appears to be several different game types of game play options; a two person foot (wing?) race, a soccer type game and a co-operative beat the clock vertical maze. As more details are made available on this title we will keep you updated. See more videos from The Behemoth and follow them on Twitter. 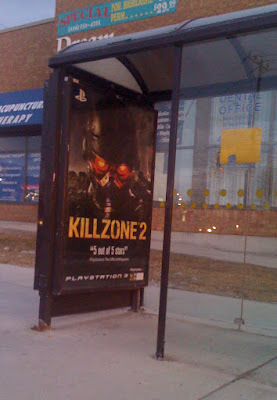 The Toronto Star is reporting that Sony will pull down their KillZone 2 bus shelter displays at approximately 300 bus shelters around the city. These ads for the new first person shooter are coming down after Sony started to receive complaints about its violent images and depictions of war. Davis Mirza emailed Sony Canada after seeing these ads located near the Scarborough school he teaches at. The grade 4/5 teacher told the Toronto Star “My kids, who come from a lot of different countries, who have to experience violence, who basically come here to seek shelter and safety, that’s the stuff they don’t need to see,”. Kyle Moffatt, public relations specialist for Sony Computer Entertainment Canada, notified the Star that the first ads to be pulled were from the bus shelter located right near the school Mirza works for. This happened Tuesday shortly after Sony had received Mirza’s complaint. More ads were removed after the local councilor from Regent Park had made similar comments to Sony. This resulted in the decision from Sony to end the entire Killzone 2 bus shelter campaign just a bit early. “They were coming down at the end of the week; we just asked them to speed up the process,” Moffat told the Star. Sony PlayStation will establish an off-limits radius around schools for advertising in an effort to prevent this issue from reoccurring. Kudos to Sony for taking these steps and being sensitive to community concerns. Some exciting news in a time that has been full of layoffs and studio closures. ZeniMax Media Inc owners of ZeniMax Online and Bethesda Softworks, makers of the best-selling, award-winning Elder Scrolls series and Fallout 3. ZeniMax Online Studios, part of the ZeniMax Media Inc. family of companies, is a premier developer and worldwide publisher of interactive entertainment software currently working on an unannounced MMOG title from its headquarters in Hunt Valley, MD. ZeniMax is a registered trademark or trademark of ZeniMax Media Inc. in the U.S. and/or in other countries. For more information on ZeniMax Online Studios, visit http://www.zenimaxonline.com/. Resident Evil is without a doubt one of the most storied franchises ever to grace the TV. It single-handedly re-launched the “Survival Horror” genre (Alone in the Dark series was the previous game du jour) with its moody atmosphere and feelings of uneasiness when opening the iconic doors not knowing what to expect around the next corner. From the first time I booted the original Resident Evil game and watched the cheesy Full Motion Video intro I was hooked and instantly drawn in. In the last 13 years, Resident Evil has spanned across 19 games for various gaming platforms, 3 Live-action movies, and 2 CG animated films, comic books and even paperback novels. With that much media related to the Resident Evil brand it’s easy to see this is a winning series. Without divulging too much information to save you from any spoilers, I can say that Capcom might want to look at a bit of a shakeup. Even though there’s a lot of good to say about the game, there’s equally a lot of bad. In 2005 the powers that be changed up the series to a great deal of critical acclaim. I for one wasn’t so optimistic and actually didn’t particularly like the game. It felt too much like a baby sitting mission having to contend with the president kidnapped daughter and I wasn’t too keen on the idea of a “parasite” infecting people with a level of mind control. Resident Evil 5 looked to build on the critical successes of Resident Evil 4 and takes the series to a new locale in Africa. You take on the role of series Alum Chris Redfield and embark on the journey with his partner and newcomer Sheva Alomar, an AI or second player controlled character who’s both deadly with a gun and a damn fine looking woman. Her AI is well programmed a she always seemed to provide the right amount of cover fire, and healing when required. I never had to get angry with the game because of her or myself dying due to poor AI. Usually it was due to my own carelessness and not Sheva’s. The game play is your basic Resident Evil fare. Aim, shoot, run, kill, survive with some minor puzzles tossed in. One of the new additions to the game is the timed action sequences. They don’t really add much to the game other than a small level of frustration when you don’t expect it and have to do it over again. While I can say that I really enjoyed this game, something was missing for me. After much consideration, my best explanation is that Resident Evil 5, while it is a very good game, just didn’t feel like Resident Evil to me. The game is too bright during the day, the bad guys aren’t creepy and I just wasn’t scared once during this game. What hooked me into the series were the mass zombie hordes coming after me, the lack of ammo, the claustrophobia of the locales and the overall feeling that something was lurking around the next corner waiting to dismember me. This is a great game, I’m just having a lot of trouble thinking about it as a Resident Evil game. Next time: Scare us. It’s what brings us back time and time again to this series. As a big NHL fan (Go Sens! ), I was a little more than mildly interested in this game when it was announced and immediately tried the demo and purchased it after just 3 quick games. The game features over the top arcade NHL type action with huge hits, fast game play, power-ups and 40 of the league’s top players. The game starts off with you picking 2 forwards, 1 defenseman and a goalie then thrusts you into the action right from the drop of the puck. The controls are simple enough for a casual gamer using just the old school button pressing controls to the more controlled scheme those familiar with real NHL series using the analog stick. You gain access to a variety of power-ups by performing bone crushing hits and they range from rocket skates to a giant sized goalie. Bored of playing the computer? Just jump online and get some users from around the world in on the action and play in some ranked matches. The game might be too simple for some who are used to the dizzying array of options presented in the NHL series but it provides a cure to a rainy spring day itch. With any luck, there will be a sequel allowing online 3 on 3 leagues with more venues and even more crazy power-ups. Maybe this could be included for free with NHL 2010 and available online to the non NHL purchasers for a nominal fee? What do you think EA? As my first real casual game purchase, I’m not disappointed. I’ve had a lot of fun trash talking my friends on Live! and beating them down while doing it. If a quickie game of outlandish hockey is something you might enjoy, this is a good one for you. Do you like free stuff? Well we do and we’re going to let you in on the secret of how to get it… Twitter. Oh and don’t forget to follow us here, as we will have free stuff to give away soon enough. Find more gamers like yourself on Xbox and on PSN. Are you a PS3 gamer that is tired of Metal Gear Solid 4, Call of Duty 4 and Quantum of Solace? Don’t have the cash for Killzone 2? 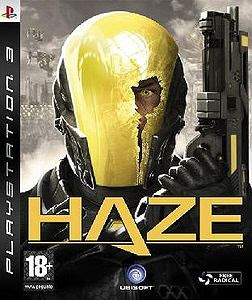 But you’re ready and looking for another First Person Shooter to invest your time in – then you should consider this weeks bargain find; HAZE (Retail Price $14.99). 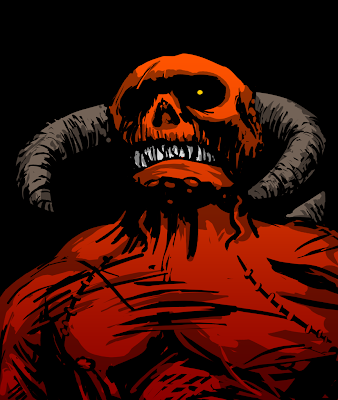 Play as a drug crazed soldier in the Mantel army, fighting the rebel group The Promised Hand. Take control and battle your way across Central America fighting for your cause and trying to right all the previous wrongs committed in the name of the greater good. Use your addiction and those of your allies and enemies to your advantage to meet your objectives. Likely you missed this game when it released in May of 2008, as it was overshadowed by the launch of the highly anticipated title Metal Gear Solid 4, just a few weeks later. For this price you just can’t miss out on HAZE. Well it happened again, more free arcade games on twitter, this time – Pirates vs Ninjas Dodgeball – courtesy of SouthPeak Games. The basics of the game are quite simple and very straight forward. Pick a team; Pirates, Ninjas, Robots or the gruesome Zombies. Bash the other team with the bouncing balls while avoiding the balls they throw at you. Seems easy enough right? The 2v2 matches seemed a little to easy – sailing through with out a hitch first the Zombies pressed my ninja pair as the battled through the tombstones on a grass court. Then facing off against the robots with their slanted ramps and neon world, quickly learning the skills of a dodgeball playing ninja (pass then attack). My story then travels to the booty laden beach where arch nemesis the evil pirates sit taunting. Defeating the pirates quickly I’m rewarded with the unlockable third character and step up for my first 3v3 match, only to start over in the same 4v4 process. Having only four levels makes this a bit of a repetitive title, but the added team members and quirky story lines provide a much needed dose of humor. This title is one that will be fun to play for a short time or when you have a number of friend over and need to get out your frustrations.